The 4th edition of World Primary Immunodefiencies Week (WPIW) starts today with the theme “Test! Diagnose! Treat!”. 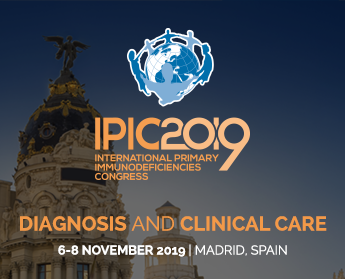 From April 22nd to the 29th join us in a unique global momentum to raise awareness about Primary Immunodeficiencies (PIDs). This year’s campaign will be really exciting with numerous awareness actions taking place around the globe. Our National Member Organisations are hosting educational events, starting advocacy campaigns, organising family days, and more. Do not forget to share online on our Facebook and Twitter pages all that you have planned for this WPIW. Visit http://www.worldpiweek.org/ for more information and to download the campaign resources. https://ipopi.org/wp-content/uploads/2017/07/Logo_colour-2013-strapline.jpg 165 401 IPOPI http://files.ipopi.org/wp-content/uploads/2017/06/LOGO.svg IPOPI2014-04-22 06:16:002017-07-05 06:18:16World Primary Immunodefiencies Week is here!